Non-UK prices are provided as a guide and may differ from the exact amount billed. Read sample on Volow What is Volow? There are many differences between a good business and a great business, but they aren't beyond a business leader's control. 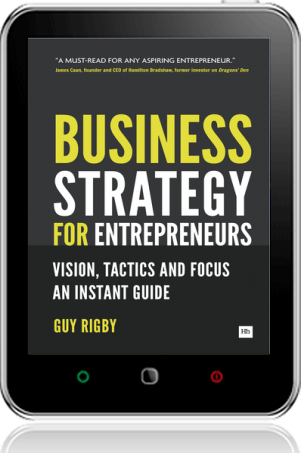 In From Vision to Exit, Guy Rigby candidly explains how entrepreneurs can develop strategies, plans and tactics to get their businesses to the top. With an easy and engaging style, this book is a definitive and practical guide that covers every business area. From strategy to finance, management to marketing, and business planning to exit, Guy leaves no stone unturned. The result is an authoritative and invaluable tool for entrepreneurs seeking to navigate the minefield of successful growth. Find out everything you wanted to know about how to build a great business but never had the opportunity to ask. "To a hungry entrepreneur, this book is an invitation to a lip-smacking smorgasbord upon which to feast. Easily digestible, never dry, stuffed with sage anecdotes and wit, it can be devoured in one full fat sitting, or you can pick and mix from the menu, depending on your appetite. The tasty top tips at the end of each chapter should become the staple diet of anyone wanting to run a healthy, growing business. It deserves a Michelin star. Bravo." - Tristram Mayhew, founder and Chief Gorilla, Go Ape! 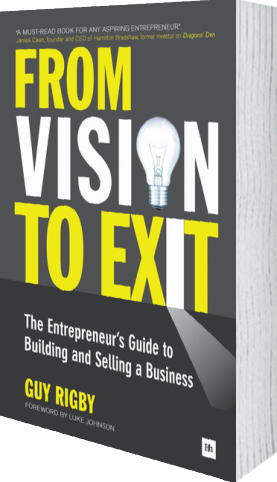 "The book, frankly, is fabulous...truly an excellent resource for anyone running a business, whether they intend to exit or not. I'm normally quite sceptical of 'how to' manuals but not in this case - you have done a cracking job." 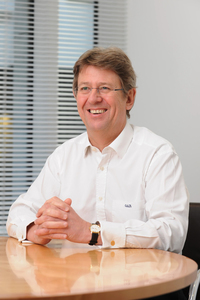 - Rupert Lee-Browne, Chief Executive of Caxton FX Ltd. Enter your email address to receive your free eBook. By requesting this free eBook, you agree to let us email you about future Harriman House offers and offers from carefully selected third parties. We will not pass your details to any third parties and you can un-subscribe from the emails at any time. A valid email is required for us to send you the download link. Harriman House Ltd will use the information you provide on this form to keep in touch with you and to provide updates and marketing. You can change your mind at any time by clicking the unsubscribe link in the footer of any email you receive from us, or by contacting us at newsletter@harriman-house.com. We will treat your information with respect. For more information about our privacy practices please visit our website. By clicking below, you agree that we may process your information in accordance with these terms. Guy Rigby is clearly highly regarded by entrepreneurs. His book, From Vision to Exit, earned fulsome praise from James Caan to Wilfred Emmanuel-Jones, and from Kanya King to Luke Johnson. The recent, premature death of Steve Jobs brought the concept of entrepreneurship back into our economic lexicon. The for-sale signs could soon be going up on a raft of lean and mean mid-sized companies around the UK. Thinking of listing on the stock market? Here's why you should. Here's why you shouldn't. You're about to start fundraising. Before handing over a slice of your business, read these essential tips on raising equity finance. Don't set up a meeting with an investor before reading these pitching dos and don'ts. 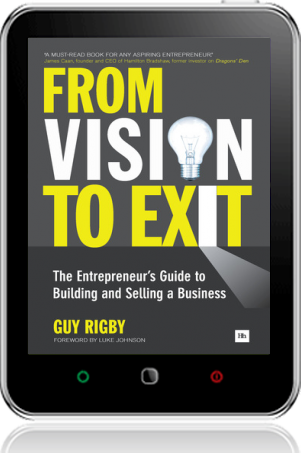 Entrepreneur-accountant Guy Rigby?s new book From Vision to Exit, which outlines the process of developing a strategy, plans and tactics to help a business succeed, has been published. Can India create a Steve Jobs? Our tech expert pays tribute to Apple's innovator-in-chief and explores how visionaries are created. 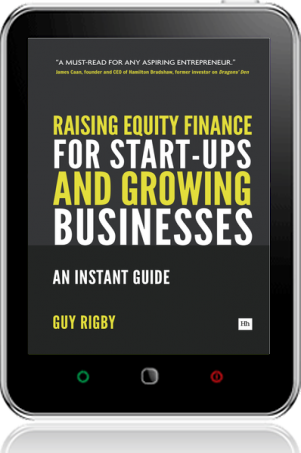 With rave reviews from serial entrepreneurs including Julie Meyer, James Caan and Luke Johnson, Guy Rigby?s new book has set the taste buds of leading UK entrepreneurs on fire! please contact us at pr@harriman-house.com or call +44 (0)1730 269809. Discounts for bulk purchases and there are premium editions available. Please contact specialsales@harriman-house.com for a quote. to a third party and you can un-subscribe at any time. A valid email address is required to receive your download link.